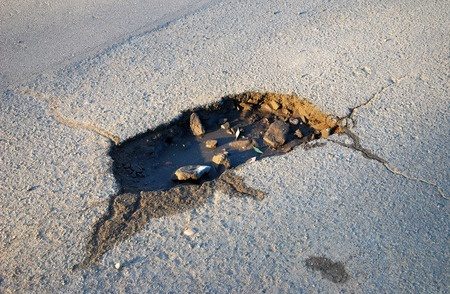 When a difficult winter results in sidewalk cracks and road potholes, check the area near your home. If sidewalks are uneven or unstable, call your local municipality or your homeowner’s association to report it. You can do the same for potholes in the road. If storms or vehicles caused damage to fire hydrants, report it immediately to the town or your HOA – it’s a hazard not to have a working hydrant within close range. If mail boxes are damaged by Mother Nature, they will have to be handled by the homeowner. Make sure the post is sturdy and the box is easily accessible to the mail carrier. Make sure drains in the roads are clear. If they are full of debris, it will cause any water resulting from heavy rains to back up and flood roadways. In your own home, check your roof for any weak areas or leaks from the outside and the inside. If you detect any water marks on ceilings, have the area checked immediately. The roof could be leaking or there may be a build-up of debris between the roof and the insulation. In addition, check the concrete block of your home’s foundation for any dampness. Be sure there are no cracks or leaks that can cause problems with the foundation. Check gutters and downspouts to make sure they’re clear of any twigs, leaves, grass or litter. They need to be flowing freely to prevent back-up and potential leaking into the home. Make sure sump pumps are running efficiently. Always check the sump pump during any storm that brings prolonged, heavy precipitation, and especially during and after power outages. Chavis Enterprises can help with any of these tasks related to spring storm clean up – no job is too small. We want you to come out of every storm like a ray of sunshine.